At Yclas, we know that trends are changing all the time and it’s not enough to rely on just our 16 themes. For this reason, we offer customizations to help you achieve your project details in each step: Development and Design. Trying to design a theme on your own can be laborious, expensive and time-consuming. Dealing with the Yclas team, you will leave your project to a group of eight classifieds & marketplace experts with more than five years of experience in building successful sites. We deliver on-time with no hidden fees and always with the best quote you can get on the market. Unless you order a clone, we will create a unique and exclusive design for you, and we won't resell it to anyone else. Choose any color; we will change your theme accordingly to your choice. Put your logo or your partner's logos anywhere on your site. Add a sidebar for your AdSense banners or one for your ads. Let your users' experience be a new way to enjoy your website with dynamic fields. 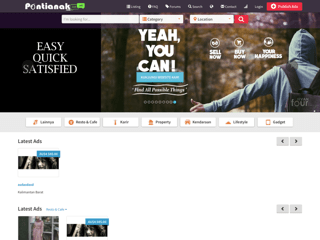 We can clone any site regarding design with our powerful premium features: Etsy clone, Tripadvisor clone, Pinterest Clone, OLX clone, Wallapop Clone, Gumtree clone or Quikr Clone. All our projects are delivered to the highest quality. Most of our customers ask for a clone from a big classified site or marketplace. The standard price is $1500 with a timeline of 2.5 weeks. Change the homepage or any page color for $200. It will take two days to complete this task. Give us your ideas for your project, and we will create a unique design for you with all our premium features integrated. The cost is $1800 with exclusivity (we won't sell it to anyone else). Do you want to modify any of our themes? You can order it. For example, to add a new sidebar, it’s $300. We could add a new footer or slideshow for the same price too! We can add any payment system to Yclas. Normally we request $600, but this can increase depending on the payment gateway API. Here are some our latest customizations. Take a look and be inspired by successful sites. 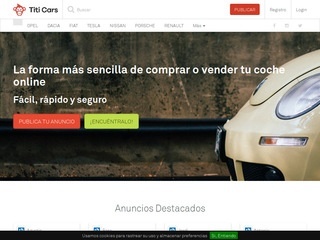 An example of an Original Design for this Car Marketplace in Spain. An example of adding a new color for this Indonesian's directory. 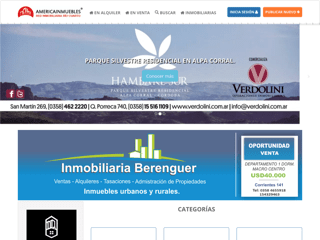 An example of a new color and sidebar layout for your site, lovely real estate site in Argentina.